Is a Virgin Mary statue a proper and adequate representation of the Supreme Creatrix of the Universe and Saviouress of all beings? This is a question that Déanists have often asked. Many suggest that an image that is fully accepted as Divine and often regarded as the Supreme Divinity (such as Mahalakshmi or Durga) is more appropriate. 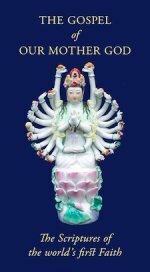 Others favour statues such as those of Tara or Kuan Yin, which, despite a Buddhist "overlay", still clearly represent the pure Saviouress of all beings. While we fully understand these feelings, there are also many who see Our Lady Mary as the purest Western representative of Feminine Deity, despite the fact that this is not doctrinally recognised by the patriarchal Church. Many would argue that it is iconographically recognised and that a traditional Virgin Mary statue shows many of the symbolic characteristics of the Supreme Deity as depicted in the pre-patriarchal West. Statues are central to the devotion of most worshippers of Our Mother God and this is a spiritual choice that each individual must make. What we present here are some of the characteristics of the traditional Virgin Mary statue that have a long and honourable pre-Christian heritage and connect Our Lady of Bethlehem with Our Lady Creatrix of the Cosmos. It is well known that many very early statues of Mary were actually rededicated statues of the Great Mother in the Forms in which She was worshipped in the late Classical world. The eclectic spiritual attitudes found among many Hindu and Buddhist populations today were not uncommon in the ancient West, and the Christian Church did not always discourage them too much, especially when they were struggling to win over a "pagan" population. Yet even as Christianity settled and developed in the West, the traditional symbols of Our Mother God continued to attach themselves to the Virgin Mary: for iconic symbols are not mere arbitrary signs, but living realities rooted in the very essence of this created world and in what lies behind and beyond it. We may say that the Image of Our Lady is not a mere product of human hands and minds, but the living, growing iconic Form of Our Mother God. This is represented richly and beautifully in the traditional Virgin Mary statue. Thus every Virgin Mary Statue that has Our Lady treading upon the Serpent (and there are very many of them) has little to do with Judaeo-Christian iconography, but a great deal to do with the traditional iconography of Our Mother Creatrix. The Image of the Immaculate Heart of Mary which appears on countless Mary Statues is a perfect and very traditional representation of the Divine Solar Heart of the Universe. This is so important that we have devoted a whole article to the Immaculate Heart of Mary. As we explain there, this symbolism belongs naturally and logically to the Sole Supreme Deity. The moon very often lies at Our Lady's feet, while in statues such as those of Our Lady of Guadalupe, She is surrounded by a Solar nimbus (in accordance with the description of Her as "the Woman clothed in the Sun"). These signs identify her as the Supreme Solar Deity rather than the "moon goddess" of patriarchal Classical tradition, in which the feminine was relegated to the inferior elements of earth and moon, while the solar and heavenly qualities of Our Mother God were transferred to the masculine. Similarly, in many Virgin Mary statues, Our Lady is crowned as Queen of Heaven – perhaps the most universal of all Names of Dea, belonging to Isis, Inanna, the pre-Yahweh Mother God of Israel (cf Jeremiah 7:18 and our page on the Blessed Virgin Mary) and virtually every other Form of the Great Mother. Again, this is far more traditional than the patriarchal concept of an exclusively "earth-goddess". Our Lady is often depicted in statues standing on a hemisphere, which may or may not have the geographical features of a globe depicted on it. This symbolises Her dominion over the earth, in accordance with the first of the threefold titles of the Daughter: Princess of the World, Priestess of the World and Queen of Heaven. Very often, a Virgin Mary statue will depict Our Lady with Her hands downward, palms open and facing forward. This is known as the Position of the Distribution of Graces and is similar to the boon-fulfilling mudra (gesture) often seen in statues of Kuan Yin or Tara. Once again, we see the Universality of Our Lady's Image. In some pictures and statues, solar rays of Grace are seen extending from Our Lady's hands. A traditional Virgin Mary statue of the pre-Vatican 2 style is generally recommended, since it is more likely to be iconographically correct. The one at the head of this page has many of the features discussed here: the crown, the distribution of Graces posture (and rays), the Serpent and the hemisphere. As you will already be aware, the iconography of Our Lady is a large and important subject, and we shall be devoting at least one other article to it in the near future. We hope this first survey has proved helpful, and if you choose a Virgin Mary statue to represent Our Mother God in your home, may it bring you rich and joyful blessings. The Mother-God Hail Mary MP3: The Hail Mary "translated" for devotional use by children of Our Mother God. This Sermon, given at a Filianic Service, presents and explains the Mother-God Hail Mary.